Arriving in 1999, acclaimed writers and producers Darshan Jesrani and Morgan Geist were immediately pounced upon by DJs around the world. Four groundbreaking 12"s were released over the next two years, which immediately became much sought after collector items and the two men responsible were catapulted to almost iconic status around the world of house and dance. This album contains the tracks from these 12"s with the addition of three eagerly awaited new songs. Peeling strips from artists and sounds that have influenced the duo, and mixing them with their own originality and refreshing experimentation, Jesrani and Geist have produced a fabulous album. Any fears about this sounding like a collection of songs rather than a flowing album can immediately be dashed. Each tracks clicks together so finely and (seemingly) effortlessly. After the rather annoying 'Intro' track, the first song proper 'Dance reaction' displays the duo's true talent. The throbbing funky basslines are combined with some classic '70s disco beats, with a similar rhythm, but different instrumentation, being carried forward to the third track 'Miura'. It is with this song that the influence of '80s American funk is easily detectable. The Spanish feel in 'Pina' backed with a rather more standard house feel provides an excellent stopgap and variation from the otherwise primarily disco/house songs. 'Soft hoop' starts off rather slowly, with layer after layer of beats being slowly and discreetly added, building up to a crescendo that made me pounce from my chair, dig out my Dad's purple flairs and twirl around the room. 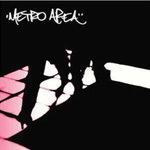 'Atmosphrique' was featured on the first 12" Metroland put out back in '99. For many, this one song displayed their true talent for producing addictive tunes that at first listen may sound a little too repetitive, but, nearly 4 years later, they still sound as fresh. That is the real reason why the duo is so lauded. Track 10, 'Orange alert', finally does cross the cheesy line they always seemed to be bordering on. The tacky keyboards sound like they would be more suited to a cheap Dance Instruction video from the '70's, than this otherwise sparkling CD. Last song on the album is the long, winding, 'Caught up'. It sounds like an extended intro to a song. I spent the whole time waiting for the track to begin. And then suddenly it was all over. It left me slightly frustrated, but yearning for more. How many other dance albums released this year can truly say that?